This past weekend has been one of the best we have had lately. 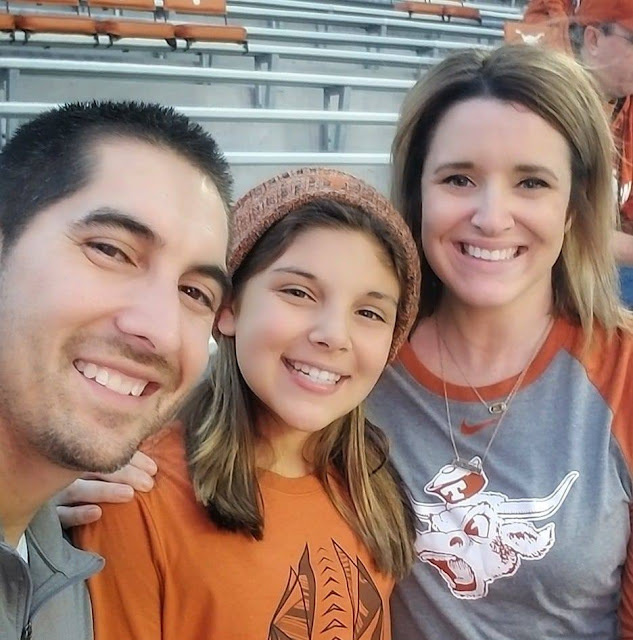 We got to celebrate family, friends, and our beloved Longhorns. We started Saturday off celebrating Thanksgiving early with Eric's family. It's been a while since we all have been together, and it was great catching up and laughing over lunch! After we left, we headed downtown to watch the Longhorns vs. Iowa State game. We haven't been to a football game in years (like 20 but whose counting?!) and it was Belle's 1st game to ever go to! To make it more special, it was Senior night, and the 500th game played at DKR Memorial Stadium. 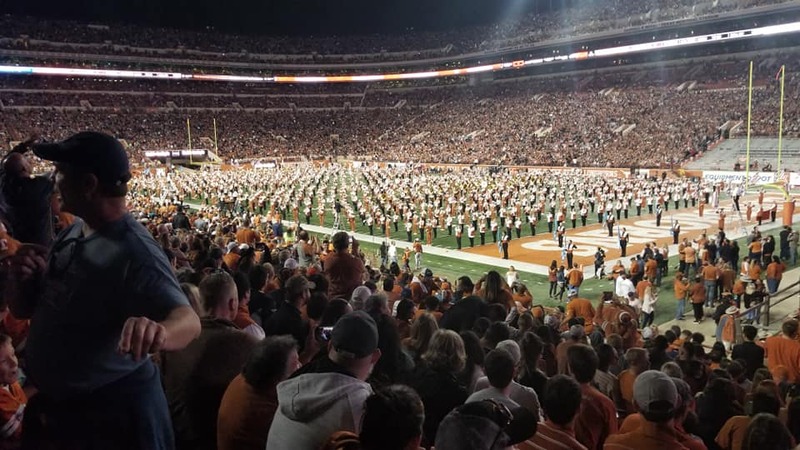 and we got to see the last game the seniors will play at DKR! 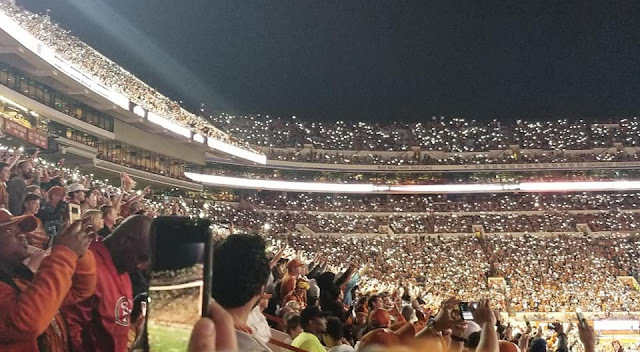 The most amazing part was when they played Journey's "Don't Stop Believing" and the whole crowd lit up their phones and sang along. The music stopped when the game started back up and the crowd kept singing. It was a magical moment! This picture doesn't do it justice, but seriously Google about it and watch the videos! We all 3 went home exhausted and beaming with light! 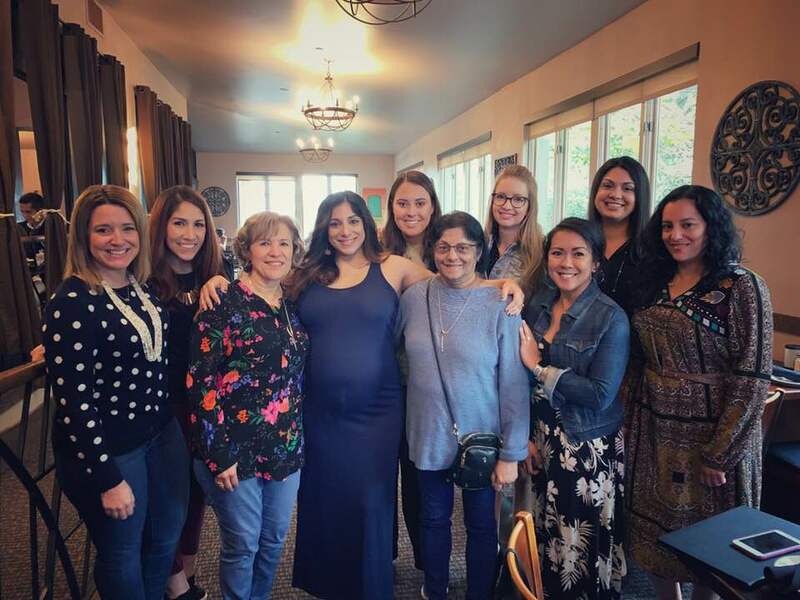 Sunday I got to help host one of my closest friend's baby shower. If you have been reading my blog for years, you know we do showers a little differently with my friends. We have brunch and pedicures instead of the normal baby shower. This one didn't disappoint and it was incredible to see Sonia glowing! Such a fun weekend overall. so I would like to wish everyone a very HAPPY THANKSGIVING! I hope everyone gets to celebrate it with family and has a wonderful day.